I'm Just Sayin': Oh, that's how you post photos! NP! Oh, that's how you post photos! NP! 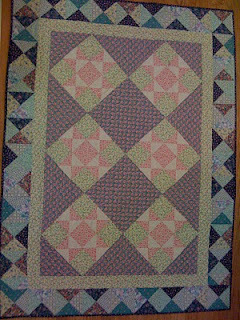 This is the first quilt I ever finished. It was completed 2 years ago, but I started it almost 20 years ago. I just didn't know how to quilt it, and after about 4 inches of hand quilting, it was clear that hand quilting isn't going to be part of my skill set. Ever. I probably started this quilt during my too-brief first pregnancy. Sometime between then and now, I got over my grief over that loss. The quilt isn't special, except that by the time it was done, it had earned its name, "Old Enough to Drive." I've just discovered it and I am thrilled! While I am warily circling the vortex that is quilting, I have yet to reach a point of no return. So far I just look a lot (okay, a loooot) and treasure a tiny little stash of fat quarters. There is even a quilting shop in my town and I've never gone inside. Never. Even though I really think that for every visit to Walmart or the grocery store one logs there should be a balancing foray to a quilting/sewing/yarn or even kitchen/gourmet shop. And by the way, someday soon I will post one of your quilts. Just to prove that you completed one before 2 years ago. You gave it to Evan when he was.....? Well, very young anyway. And he will be 17 in January. No, really. P.S. What's NP? No Problem? New Pants? Nifty Photography? My friend has a blog. Funny thing is, I don't remember making a quilt for Evan. When was this? What did it look like? It will come as no surprise to you that there I have a spreadsheet on Google Docs with my quilts in progress. It shows that I am in the midst of 21 quilts, (19 if you consider it done if not yet labelled.) 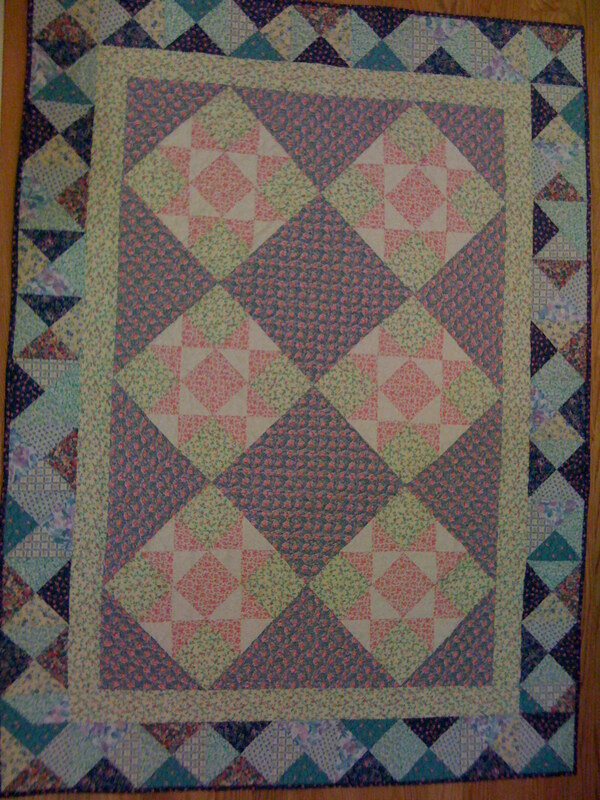 It also shows that I have finished 65 quilts, make that 66 if I ever get proof of Evan's quilt. "I'm surprised you have the patience to sew."